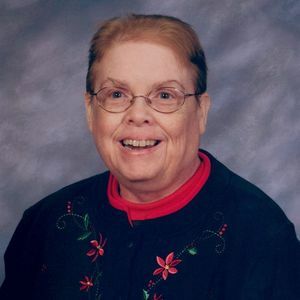 Ann W. Jenkins, age 72 of Greenwood, passed away at Greenwood Healthcare Center on Friday afternoon, March 22, 2019. Ann was born in Nicholas County, KY to Roscoe and Robbie (Small) Jenkins who proceeded her in death. She was a member of Edgewood United Methodist Church and trusted Jesus as her savior. Survivors include her brother Roscoe "Jynx" Jenkins and sister in law Debby Jenkins, plus nieces Kelly Santos (Juan) and Karey Jenkins. Special thanks to the people at Greenwood Healthcare Center that provided care and loved on Ann during her years in that facility. Funeral services for Ann will be held on Friday, March 29 at Wilson St. Pierre Funeral Service and Crematory, Greenwood Chapel at 11:00 AM. The family will be receiving guests at the funeral home on Thursday evening, March 28 from 4:00-8:00 PM and again from 10:00 am until the time of service on Friday. You are invited to go to our website, www.wilsonstpierre.com to order flowers for the family, share a memory or to leave a condolence for the family. Add your thoughts, prayers or a condolence to Ann's guestbook.